The NEW Turnigy 9XR is here! This package comes with the stock 9X V2 Tx module modified for plug in use with an external antenna, and the stock 9X8C V2 receiver! 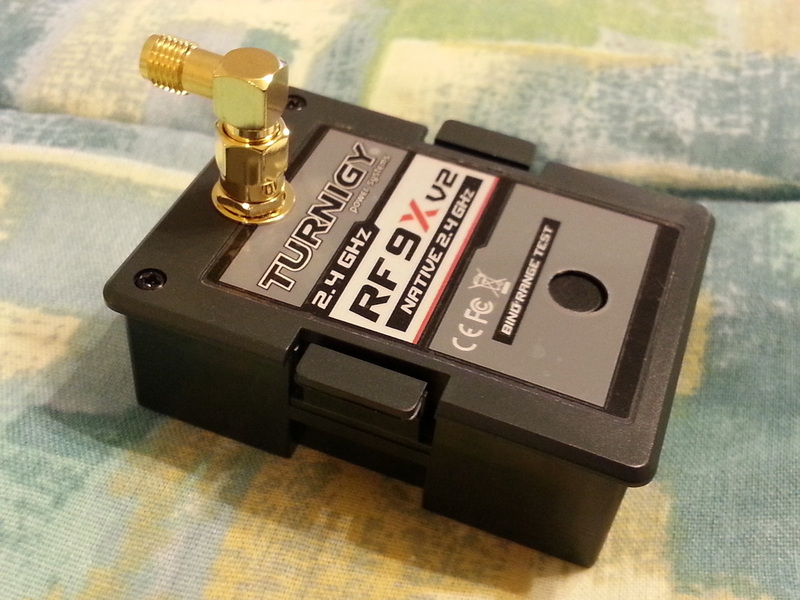 The New Turnigy 9XR with a modularized version of the stock 9X Tx Module and matching 9X8C V2 receiver is here! Similar to the 9X conversion I have been providing for the past year, this radio will come fully checked out, tested, flashed with the firmware of your choice, with the carefully modified Tx module witih removeable antenna too! You can put larger antennas from FrSky on this unit too! I will also include a USBASP programmer so you can reload different firmware, as well as backup and restore model programming, and edit your models on the PC with eePe. Quantities are limited, so order quickly once they are in-stock! And don't forget to order the highly recommended 3S 2200mAh Li-Po battery for the 9XR as well. Note that international orders cannot have the Lithium battery. Please contact me with any questions! 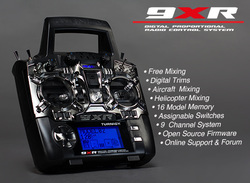 Here you can see the 9X module modified to be fully plug & play for the 9XR (also works with the 9X of course, if you want to be able to switch between stock and other modules). This also allows you to use other antennas, booster amps, etc. Here you can see the Modified Tx module installed into the back of the 9XR. Fit's nicely! 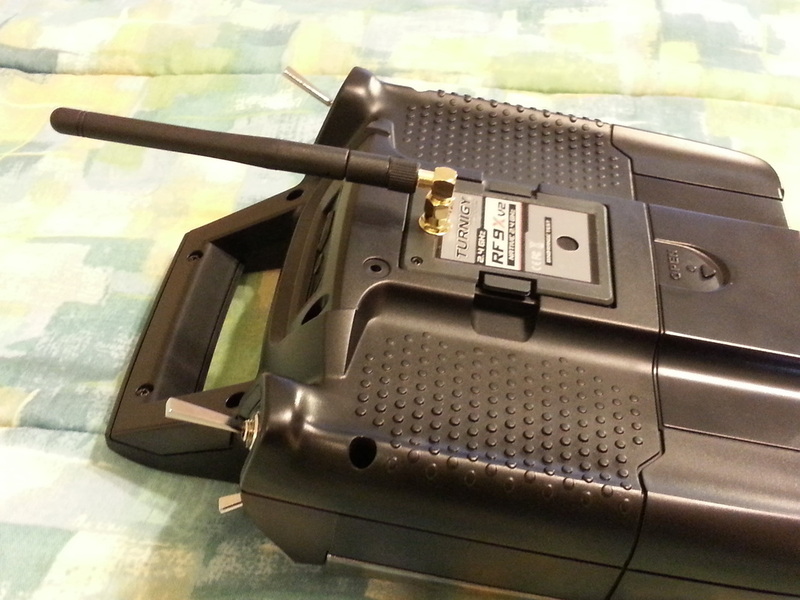 This is the standard sized antenna, which is included.